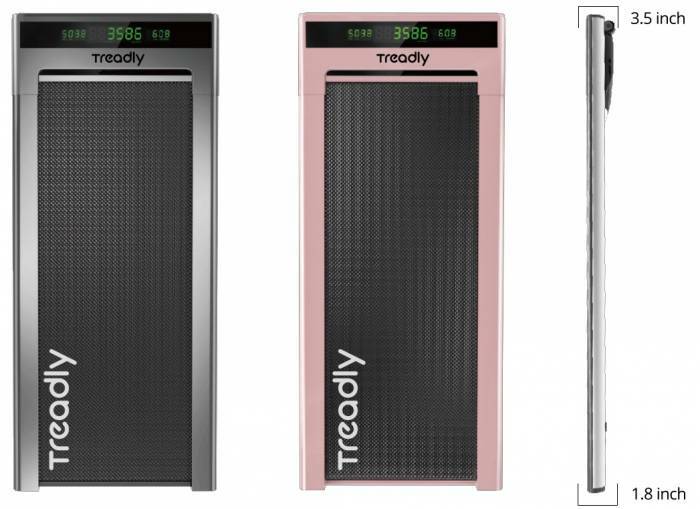 Treadly is a sleek new treadmill that fits under a bed or hides away in a workspace. Who’s ordering it? People who are tight on space or time but still want a daily workout. 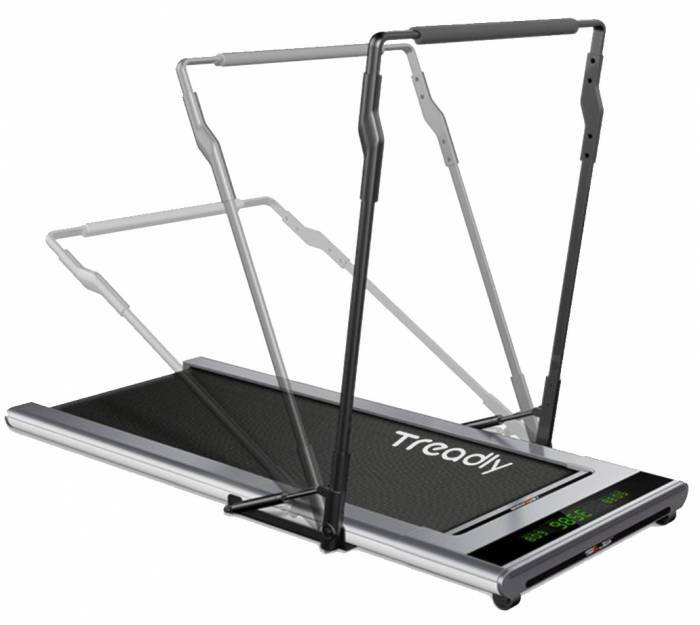 At just 55 pounds, the Treadly fitness treadmill is dramatically lighter than traditional treadmills, which range from 175 to 250 pounds. Treadly’s ultralight, compact design makes moving and stowing it incredibly simple. And it’s only 25 inches wide and 3.5 inches thick. The speed barrier combined with the treadmill’s length, 55 inches, means Treadly isn’t made for serious speed training. Think of it as a way to move at a standing desk or get some cruiser miles under the belt. The company will be offering a matching standing desk in the future. To further boost safety, the petite moving walkway employs infrared technology. 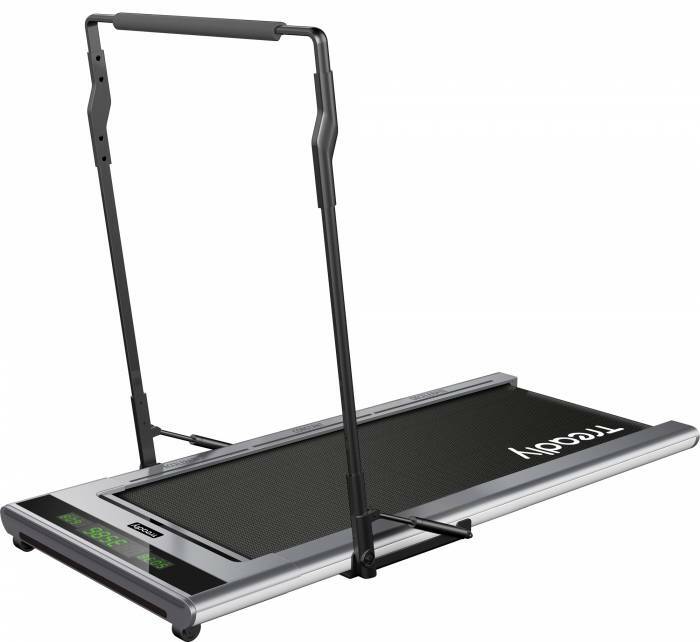 Electromagnetic strips track the position of the user’s feet on the belt and adjust speed accordingly. There are three stepping location zones — slow, normal, and fast — that sense whether you’re walking or jogging. Move toward the front of the machine to speed up. Stay in the middle of the belt to maintain a consistent speed. Slide toward the back to slow down. Additionally, a compact motor makes the Treadly relatively quiet at just 6 decibels. At the front, the touch-free LCD screen shows the basics: time, steps, and distance. There’s also a 250-pound weight limit. The tiny treadmill comes in gray and pink. Treadly is taking pre-orders now, but the product doesn’t ship until next month. Pre-ordered machines are $699 for a limited time. 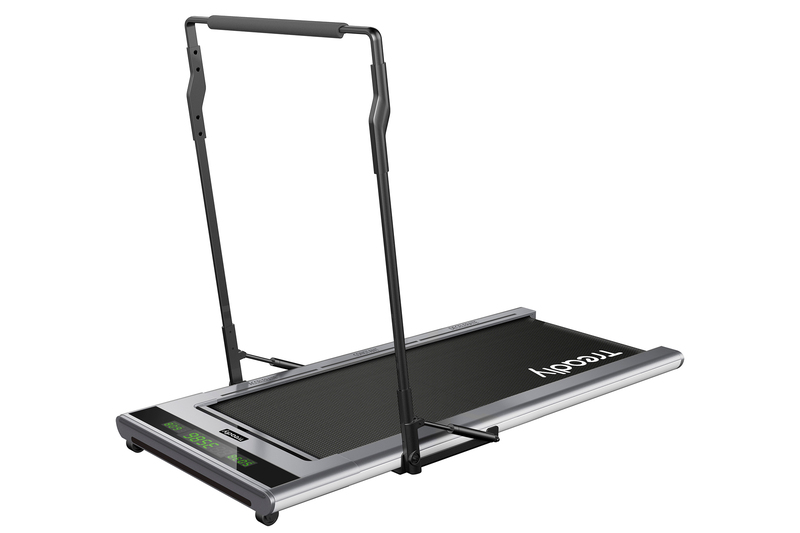 The treadmill will retail at $1,197 after that.